Postpone Your Tax Due Date by 6 six months - E-file Form 4868! Postpone Your Tax Due Date by 6 six months – E-file Form 4868! If we are paying attention to our lives, we’ll recognize those defining moments. The challenge for so many of us is that we are so deep into daily distractions and ‘being busy, busy’ that we miss out on those moments and opportunities that – if jumped on – would get our careers and personal lives to a whole new level of wow. In today’s modern lifestyle almost every individual cribs stating that 24 hours a day is not enough to take care of their daily chores. Month of April is here and your Personal Income Tax is due in another 13 days. You read that the deadline to file your personal Income tax is April 15th. Well, though the due date is 13 days away is that really enough for you to gather all the required paper works and file your Personal Income Tax on time without any mistakes. We can hear that loud “NO” so can the IRS. Of course, even IRS agents and officers need to file their taxes too, so they give you an option to legally move your Tax Due Date to October 15th from April 15th. 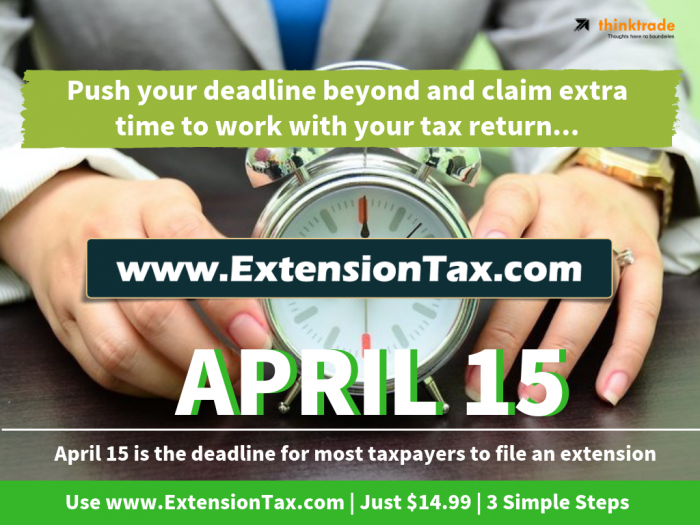 All you have to do is file Federal Tax Form 4868 on or before the actual due date which is April 15th. Now we can hear you say loud and clear “Not another Tax Form”. 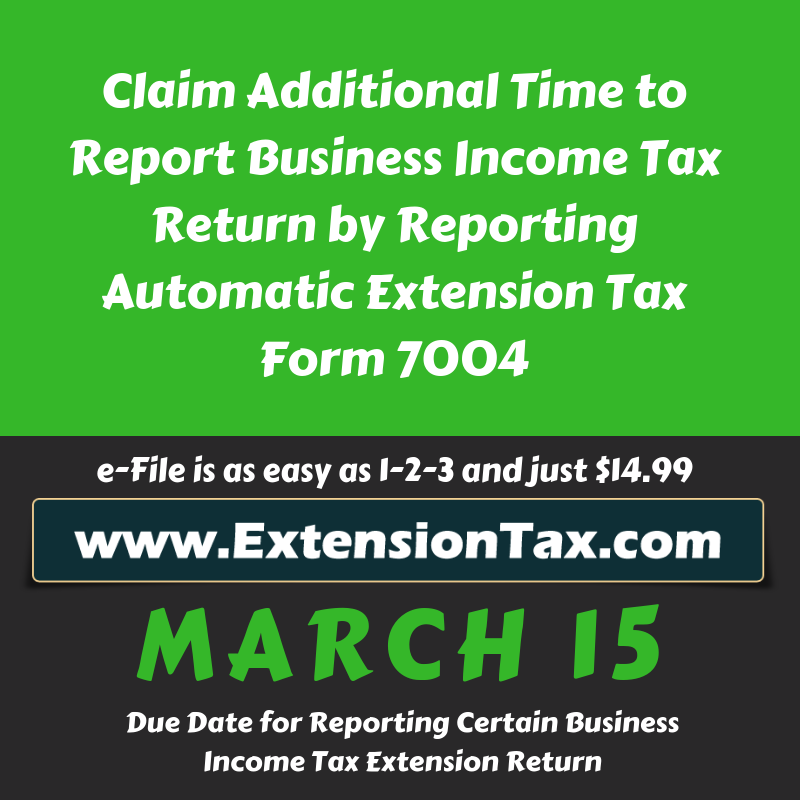 Thanks to technology and IRS authorized E-file Service Provider www.extensiontax.com , you can simply E-file your Form 4868 “Application for Automatic Extension of Time. To File U.S. Individual Income Tax Return” within minutes and Stay calm for another 6 months. Six months is more than enough for you to collect all the required paper work to properly submit your Personal Income Tax return, without any mistakes. Every minute you waste from now on will count and will have a huge impact on your Personal Income Tax Return. 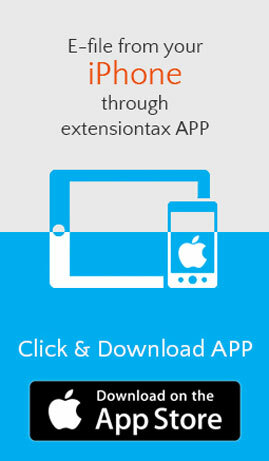 Log on to www.Extensiontax.com and E-file Form 4868 to Legally Postpone Your Tax Due Date by 6 six months. 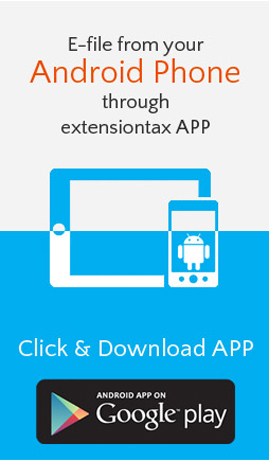 Reach our Tax Experts for any support @1-866-245-3918 or write to them @ support@extensiontax.com . Note: E-filing Form 4868 only gives you time ONLY to file your Personal Income Taxes later, the Tax Amount that you owe is due by April 15th. This entry was posted in Efile Extension, efiling, Extension Tax, file extension online, Form 4868, Form 7004, Form 8868, IRS Extension, IRS Updates, Tax Extension and tagged April 15, Authorized Efile Service Provider, Business Income Tax, Easy Extension, Efile 2350, Efile 4868, Efile 7004, Efile 8868, Efile Extension, Efile for an Extension, express extension, Extend your Deadline, Extension of Time, Federal Income Tax Extension, File Later, File Taxes later, Form 2350, Form 4868, Form 7004, Form 8868, Income tax Extension, IRS Extension, March 15, May 15, Online Extension, Pay Later, Personal Income tax, Six months Extension, Tax Return Preparers on April 2, 2019 by TaxExpert.